We’d love your help. 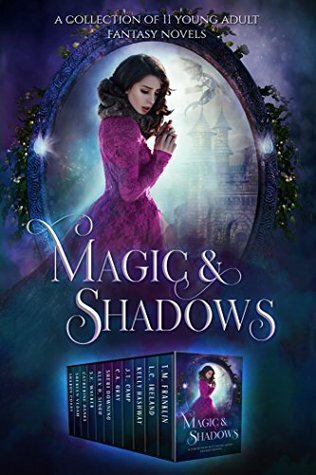 Let us know what’s wrong with this preview of Magic and Shadows by T.M. Franklin. To ask other readers questions about Magic and Shadows, please sign up. NOT kindle unlimited so the only reason I bought it; I really, REALLY should know better than that by now, between not knowing any of the writers and the bull with the word paranormal before the 'romance' when it's 90% 'romance' and WORSE crap. Please note I put their blurb about what the book SUPPOSEDLY was about, although it not only not right, it's wrong, very wrong, terribly wrong, and abysmally wrong. I barely struggled through whatever the 'writer' thought was an actual story for the first NOT kindle unlimited so the only reason I bought it; I really, REALLY should know better than that by now, between not knowing any of the writers and the bull with the word paranormal before the 'romance' when it's 90% 'romance' and WORSE crap. Please note I put their blurb about what the book SUPPOSEDLY was about, although it not only not right, it's wrong, very wrong, terribly wrong, and abysmally wrong. I barely struggled through whatever the 'writer' thought was an actual story for the first 'story', returned it for refund.